The Vauxhall Insignia remains one of the most common sights on our roads; this type of car may no longer be at the top of the sales charts (it's been usurped by the likes of the Ford Fiesta and little brother, the Vauxhall Corsa), but it's still a big seller, especially in company car fleets. 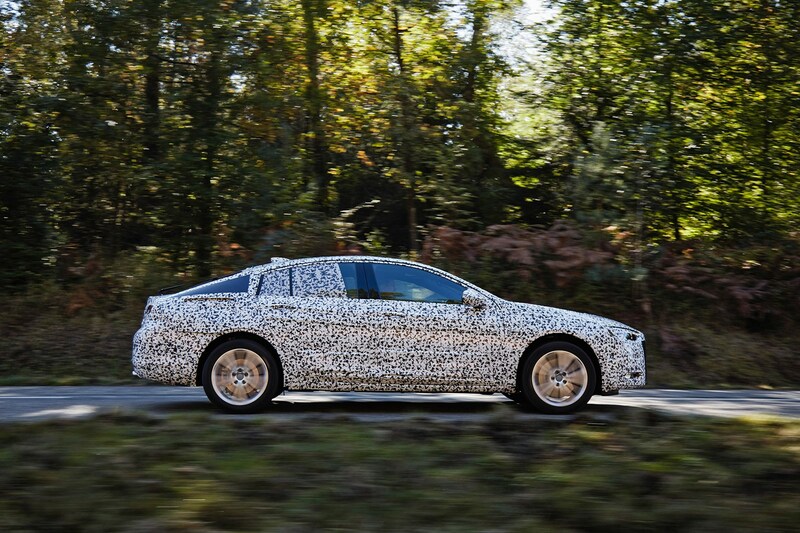 The current model's been around since 2008, however; hence the new model, due to be unveiled in December 2016 and sidling into your nearest Vauxhall showroom in summer 2017. 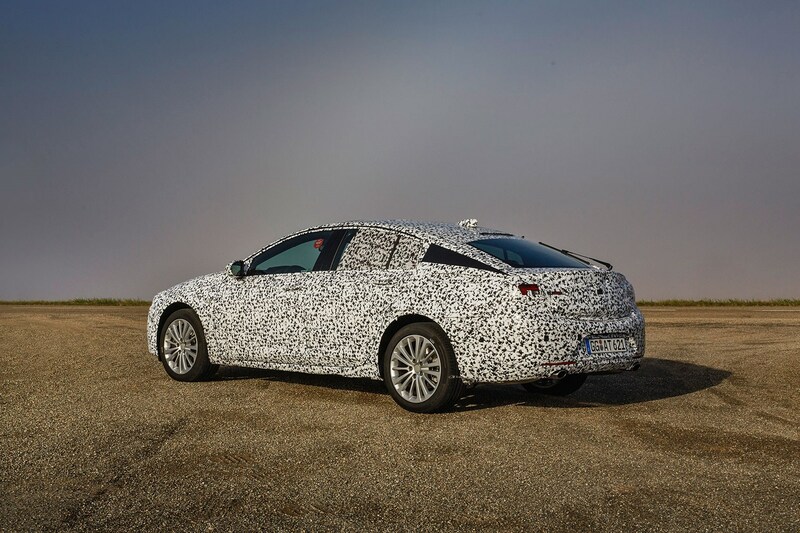 It'll be called the Vauxhall Insignia Grand Sport - and Parkers has been given a very exclusive early drive in a prototype to see what's what. There are some major changes coming to the biggest Vauxhall. This is designed to crown the range until a new flagship SUV spun from the same hardware arrives later this decade. 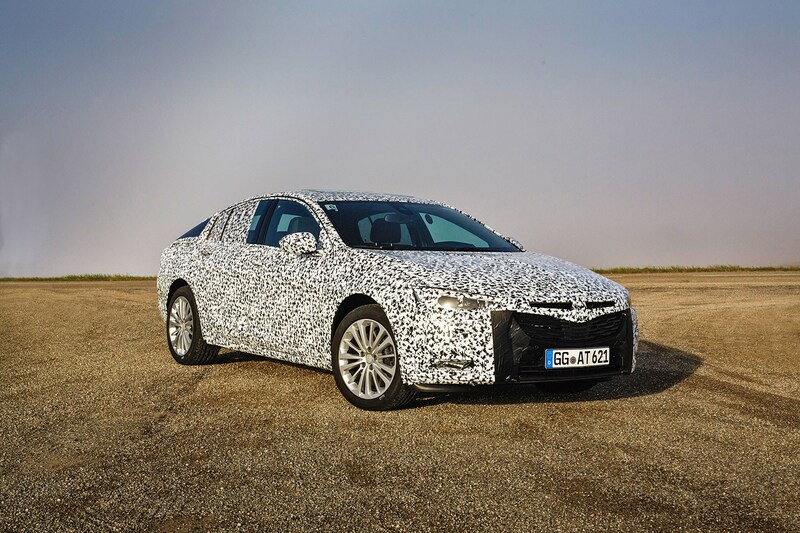 As such the new Insignia has a big job to do: it must communicate the company's new v2.0 design language (the prototype camouflage peels off in December, revealing the new couture) as well as show what Vauxhall can do with clever tech. Nearly everything. The oily bits underneath are based on GM's new Epsilon 2 architecture. That's a nerdy, techy way of saying the company's new large-car platform. Which brings with it a host of new technology. So there's a head-up display and clever-clogs LED headlamps with 32 bulbs intelligent enough to light up the road ahead as far as the eye can see, but not dazzle oncoming traffic. The latest infotainment systems (not visible behind camo shield, above) will communicate with your smartphone and make it easier to sync apps and voice calls through your car. And there are niceties galore, such as heated windscreens for frosty mornings, ventilated seats and double-glazing to cut road noise. 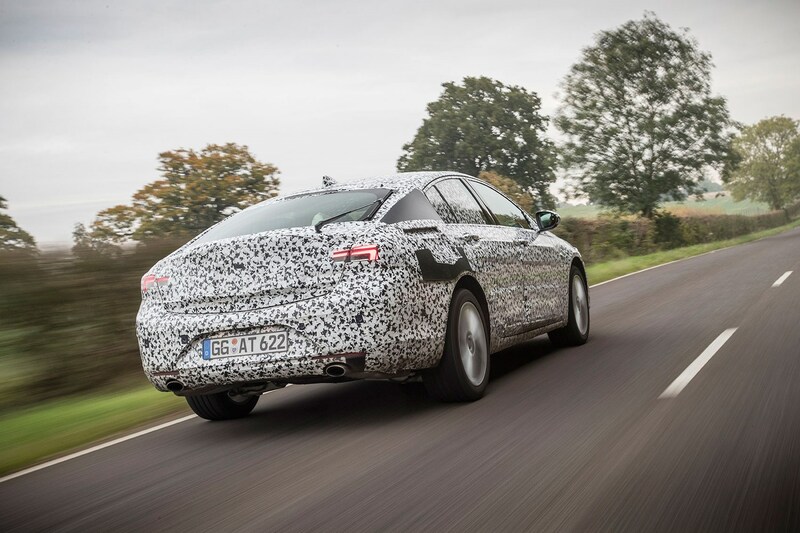 But the biggest news - and we mean that literally - is the growth in dimensions of the new 2017 Vauxhall Insignia Grand Sport. This car has stepped up a notch, now rivalling the Skoda Superb for class size honours. It's now 55mm longer and 7mm wider, nudging the Insignia up to Audi A6 territory. It's seriously roomy in here. The new 2017 Insignia is so wide, you can't touch the passenger door from the driver's seat and the rear... well, suffice to say it's echoingly vast - nearly the equal of the gargantuan Skoda Superb rear passenger compartment. Taxi drivers and those with basketball-playing offspring need look no further. The boot's a good size too. We're still waiting to hear the official boot capacity - and other key performance figures such as CO2 ratings, prices and top speeds. They'll be announced once the car is formally unveiled. How does the new 2017 Insignia drive? Very well, judging by our brief drive of these late-stage industry prototypes. These are engineering test cars used by Vauxhall to make sure everything works before the car reaches showrooms. So it'd be a little premature to judge the new Insignia purely on how these test hacks drive. But we were impressed by the two petrol cars we drove: a 1.5-litre four-cylinder with 165hp and a high-power 2.0-litre four-pot with 250hp and all-wheel drive. They ride with a well-judged plump to the suspension, soaking up the worst road acne that we could find around mid-Bedfordshire in our brief drive. Yet there was some fun to be had through the corners, too - especially the 250hp range-topper, with its AWD system and torque vectoring, a system which uses electronics to apportion drive to the outside rear wheel to tug the car through a bend. It's a tech borne in motorsport and works very well. 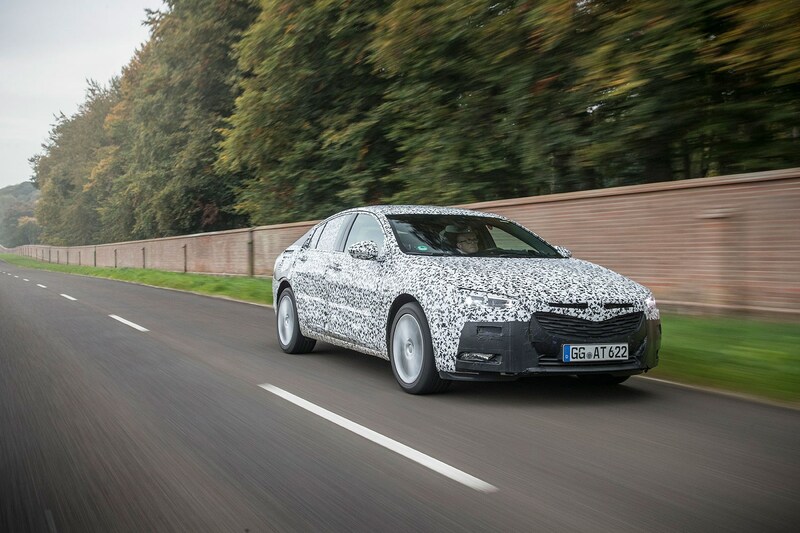 Is the new car as good as the class benchmark, the VW Passat? It could be a close-run thing. The new Insignia offers more space, and seems eerily refined and comfortable on this early drive. The quality of the build and the technology on board - neither of which we've fairly sampled yet - could make or break its chances. 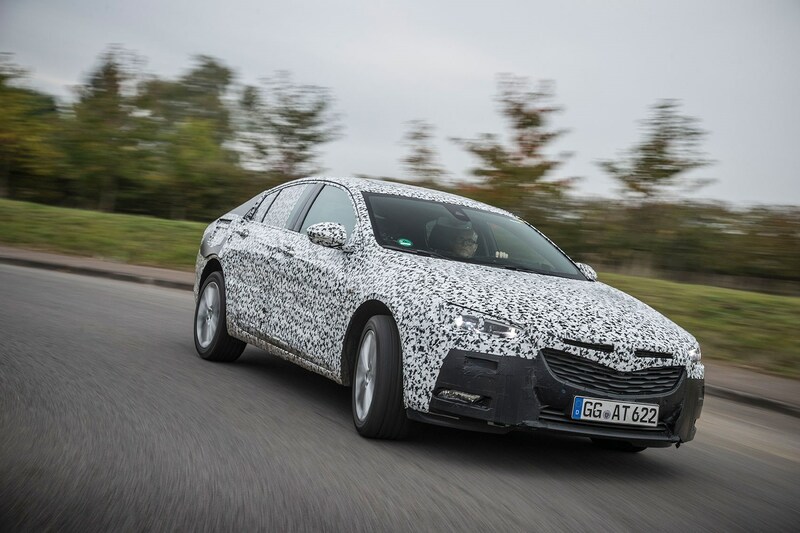 The new 2017 Vauxhall Insignia Grand Sport is in a very good place to challenge for class honours. By stealing Skoda's breakfast with its super-sized cabin, it'll make for a very practical family car - or company workhorse. 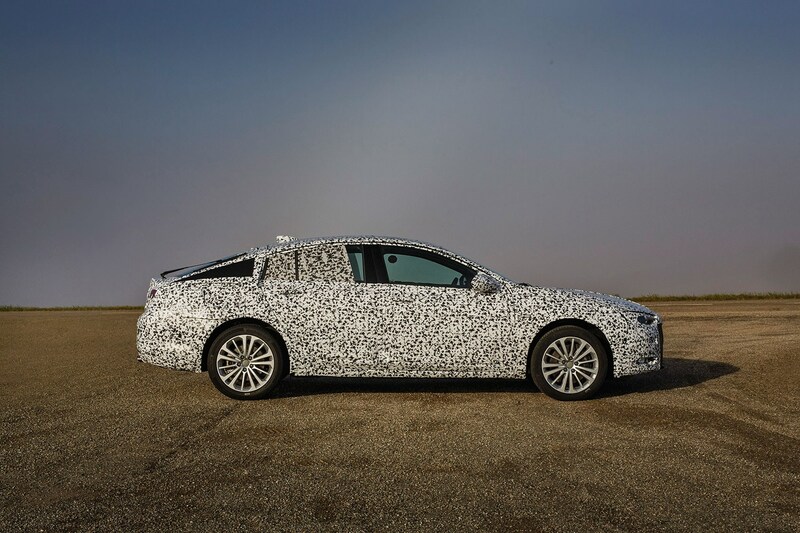 We've yet to see the styling or interior detailing. If Vauxhall nails both of these factors - and gets the price right, which it vows it will - we could have a new class challenger on our hands. Come back to Parkers in early December 2016 to see the full story on the new Insignia.